Garmin GTN 750 | Avionics Blog – Avionics to the Max! This is a major upgrade for one of Maxcraft’s regular commercial clients: Jerry Visser of Island Express Air. Island Express Air provides scheduled flights across the Strait of Georgia with its capable fleet of Piper Navajos, servicing Vancouver, Abbotsford, Victoria, Nanaimo and Tofino. Recently, Mr. Visser acquired this B100 King Air to pursue charter work in addition to the regularly scheduled flights handled by his Navajo fleet. Maxcraft technicians have done regular maintenance on the Island Express Navajo fleet several times in the past, and this time they took a crack at Island Express Air’s new King Air B100. This aircraft left Maxcraft with a new GTN-750, (Garmin’s top-grade GPS/NAV/COM/MFD solution) and provisions for Class-B TAWS enablement at a later date. With a GTN-750 already installed, complying with upcoming Class-B TAWS requirements will be a simple and painless process. 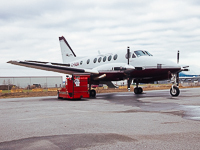 In addition to the new navigation system, this King Air also received repairs to the ADF and Autopilot systems which were snagged shortly prior to our scheduled upgrade work. See more pictures about this aircraft on our project page on our website! 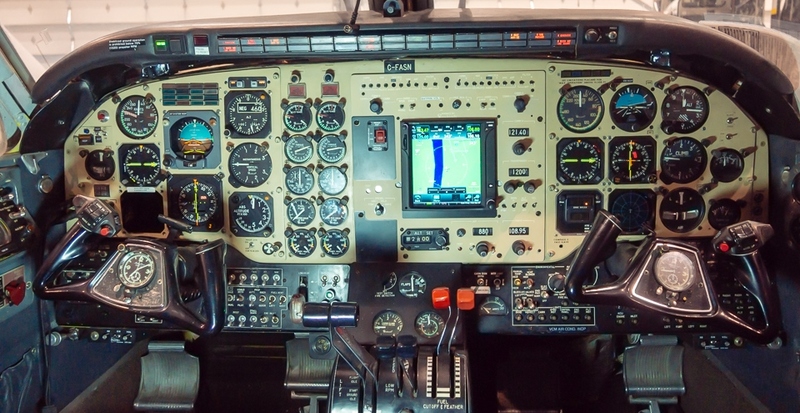 This entry was posted in Avionics News and tagged aircraft, autopilot, B100, cockpit, COM, efis, Garmin GTN750, GPS, GTN750, Island Express Air, King Air, Maxcraft Avionics, MFD, NAV, Piper Navajo, portable GPS, TAWS, tcas, VHF Radio. Bookmark the permalink.